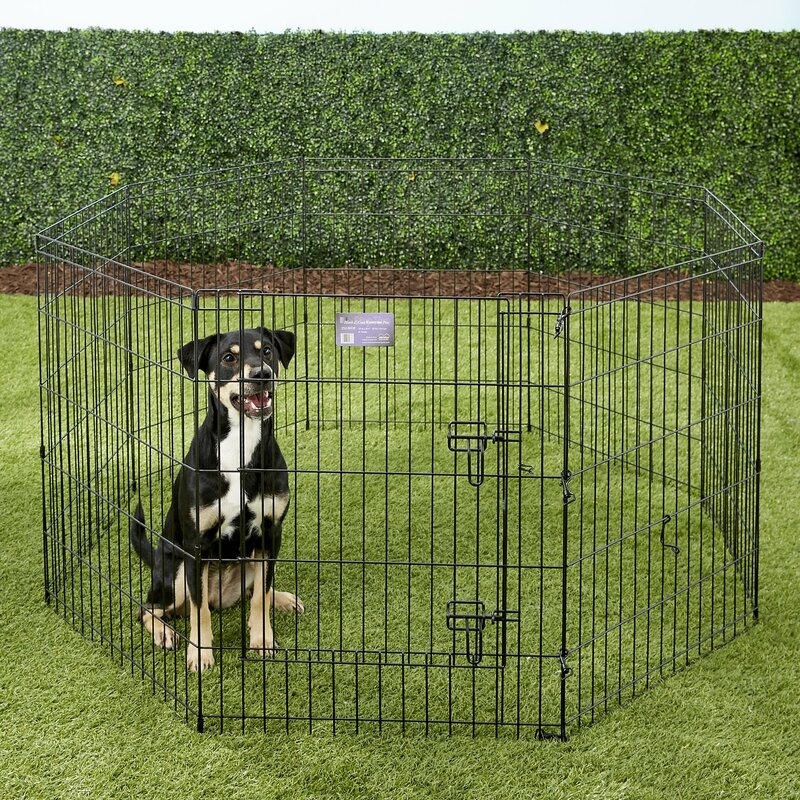 Exercise Pens are a good playing ground for your pets whether indoors or outdoors. This versatile pen can be set up in a circle or a square, depending on the space. 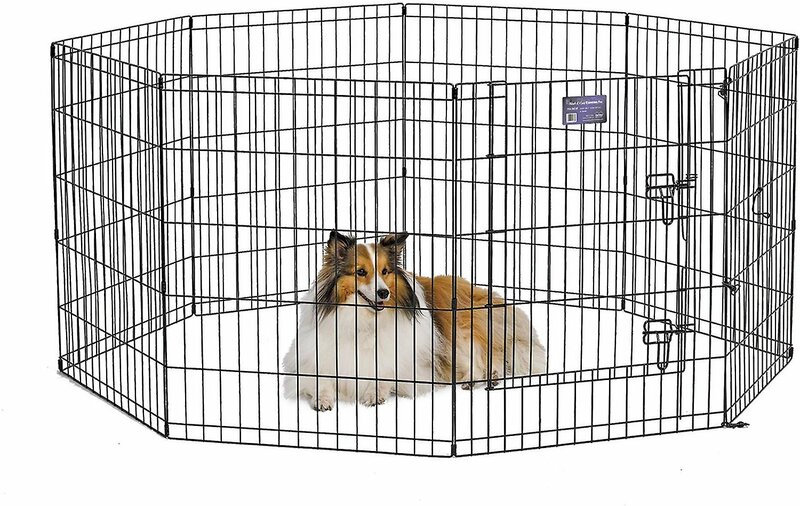 And to make sure your pet stays secure in his designated area, it has a secure double latch door access. When it's time for your pal to come out, simply open the latch and let him through the step-through door! Best of all, there are no tools needed, which means it's a cinch to set up and it folds flat for easy storage and portability. This pen is paw-sitively perfect for single-pet and multiple-pet households. 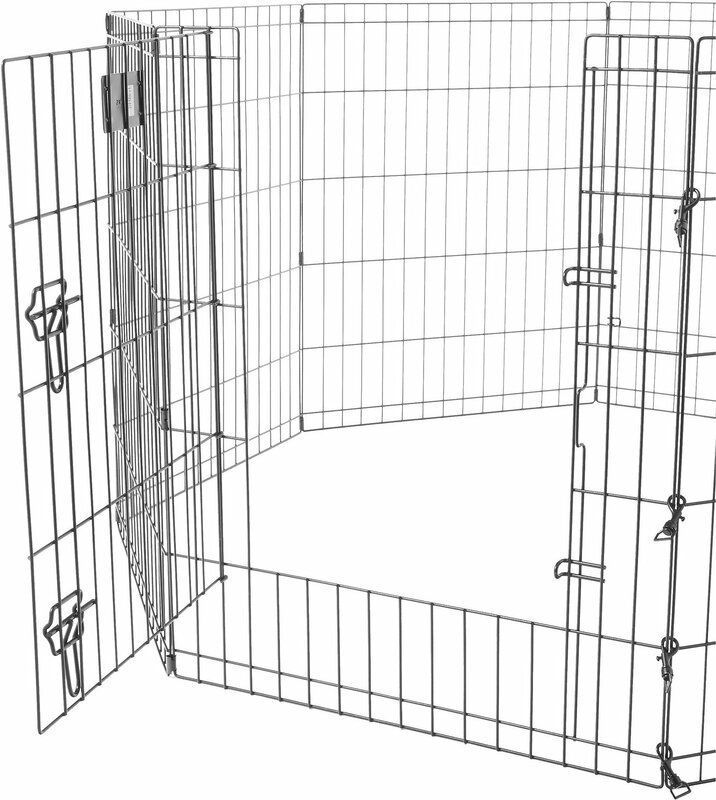 Secure double latch door ensures your pet stays put and out of areas he isn't supposed to be in. Durable black E-coat finish provides long-lasting protection. Includes ground anchors and corner stabilizers to keep the pen in place. Provides 16 square feet enclosed area and can also be configured into a 4-foot by 4-foot square. Folds flat for convenient storage and portability. Since this pen is made of metal, it may scratch hardwood floors. 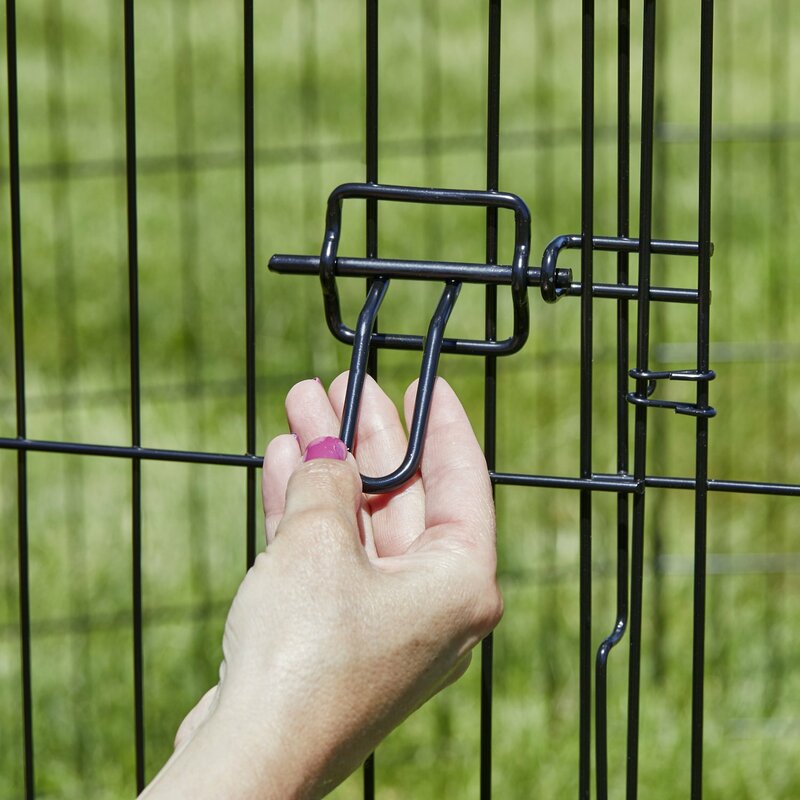 You can use the MidWest Wire Mesh Top or MidWest Sunscreen Top with this exercise pen, once shaped into a 4-foot by 4-foot square. Give your pal even more space to play and lounge with the Midwest Extension Kit! My bunny and I love it. 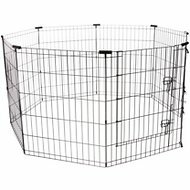 I added this to my bunny's kennel for more space. He is a dwarf so I wasn't sure about the height because he can jump high. I got the 36" and he is fine and doesn't try to jump out. He loves it and hangs out in it even when the door is left open. He can stretch out, do bunny flops and relax without my cats charging him full speed while he is lounging. He was always a happy bunny but now he is even happier. I don't have to feel guilty that he is in a confined space while I am at work. I recommend this for all you bunny lovers out there. I use this product in both 24" and 36" around a feral cat house and feeder to keep them safe from loose dogs. Works great and is easy to move around and adjust seasonally. I cut small sections in wire for cat access only and they quickly learned to use it. They often lay around inside the pen because they know they are safe. This is a really versatile product. Love it! Works wonderfully! Big enough for my shepherd mix to be confined yet still able to shift comfortably on his dog bed. He will be having surgery next week and this will be the perfect daytime place for him to relax rather than being stuck in his crate 24/7 during recovery. Might be great if you get the right size. I read reviews of other brands. I am glad I picked this one. It is perfect for containing my puppy. It is on a vinyl floor and hooked to her crate. She cannot move it around. Also, it comes with floor protectors. That was important to me. It is not flimsy. I now have three of these pens for my house buns. They are all 36” tall, two have a door, and one does not. These work great, and the price is great! My buns can enjoy running and binkying while also keeping our baseboards chew-free! 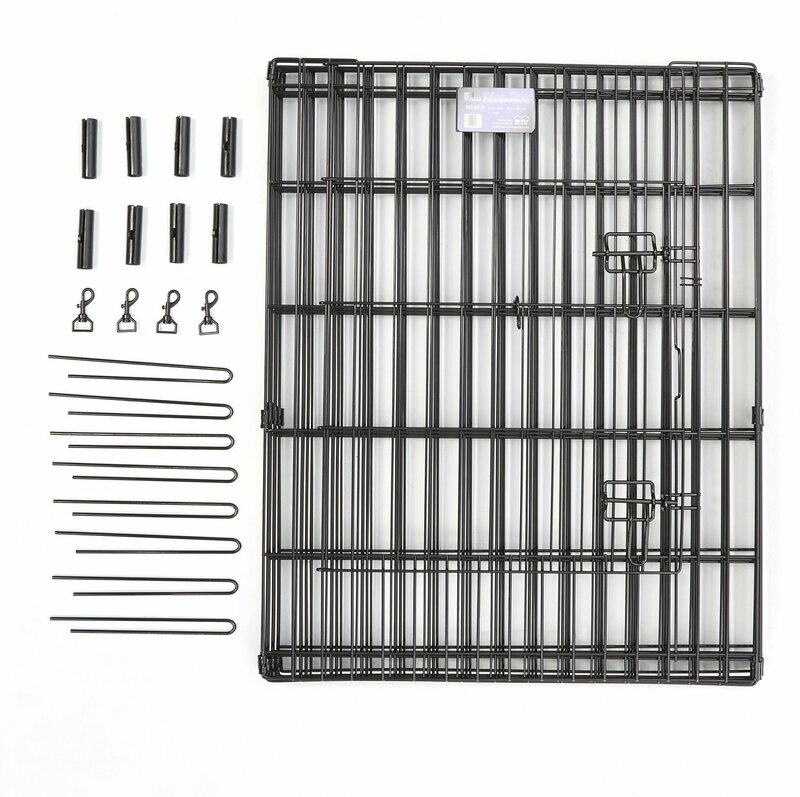 The exercise pen is very well made and easy to assemble. I'm sure we will use it for years. Chewy is also the best with the best customer service, I believe, in the world!